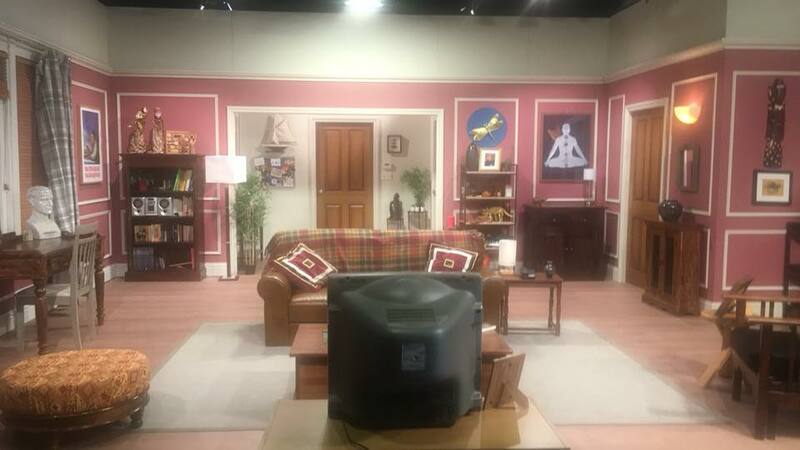 This year, Comedy Central took FriendsFest to Scotland for the first time. With this, of course I had to go down and visit this exhibition! 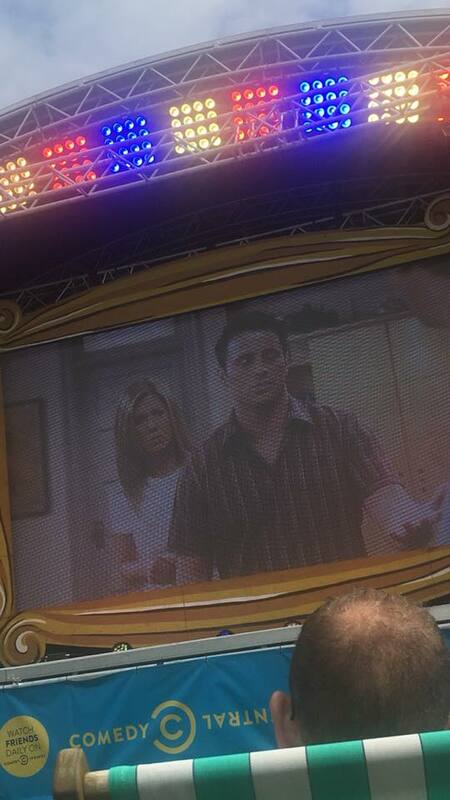 The festival, which tours over several cities across the UK for the entirety of Summer, is a tribute to the TV show Friends. This festival gives you a tour of the sets of the show, as well as gives fans the opportunity to pose and replicate some of the most iconic moments, such as the title sequence and the Las Vegas Chapel of Love. 2018 has stepped up its game, especially when it comes to highlighting Ross' best moments. Voted as Comedy Central fans' favourite moment of Friends, attendees are able to recreate the "PIVOT!" moment, as well as being able to visit Ross' apartment for the first time. 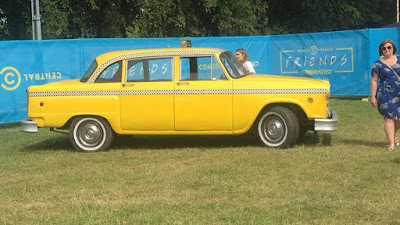 With that, I will be telling you my experience at FriendsFest, what to do when you go along, and what I would improve on for FriendsFest 2019. I went on Saturday 7th July, the second day that the festival took place. I have only just finished watching the entirety of Friends, so the show was still fresh in my mind and my love of the show is as high as it could have possibly been. I made sure to head to FriendsFest at the start, to get through a lot of the stuff with as little waiting time as possible. I kind of wish that I went a little later though, as some stuff on the stage started later on and my tour set time wasn't until nearer 2pm. The photo opportunities go by quickly, but are very fun. I loved the "PIVOT!" set-up, and the guy that was taken the photos deserves some recognition as he was very funny and lively. Overall, the staff were very helpful and you could tell that they loved Friends just as much as us. 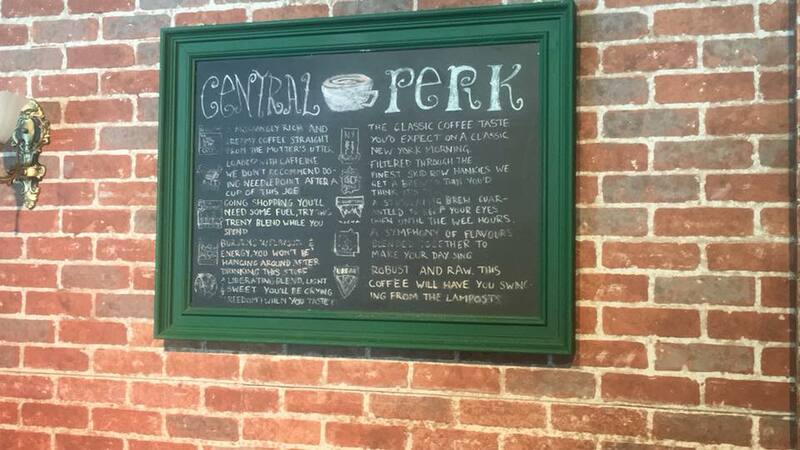 One of the most iconic pieces was Central Perk. 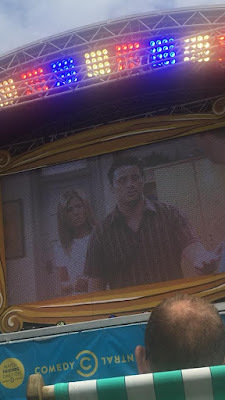 The set also has a variety of entertainment that goes on throughout the day, including karaoke of all of Phoebe's biggest hits, mainly "Smelly Cat". This is a great place to relax, but also to have fun and watch some great performances. Once you have done all of the photo opportunities, it is time to sit down with some food and relax. 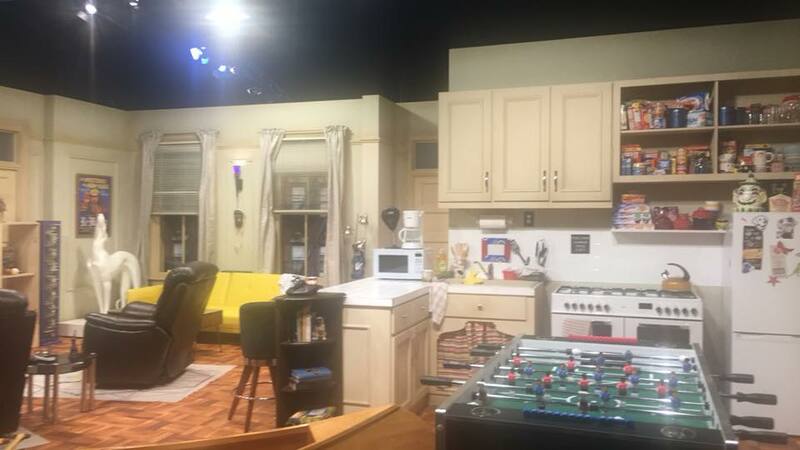 The food choice is great and fitting for the FriendsFest, ranging from Joey's Pizza to American hot-dogs. I also decided to grab a cocktail, but after seeing what the content is for the price that they charge, I wish I had never gotten one. It was nice to sit down on the deck chairs in front of a massive screen and wait for Friends to be shown. They showed the best moments of the show, ranging from "They don't know that we know that they know we know" and "Seven, seven, seven, seven!" and the crowd were laughing along. Just as I had to leave for my allocated set time, some of the staff came on stage to host specific games and events which I was disappointed by. Then it was indeed time for the set tour. This was the big thing of the festival, placed in the middle of the entire park. First on the tour was a range of props that have been featured at some point in the show. This is great as by looking at people's photos from the 2017 festival, the props slightly changed. This year, we didn't get Monica's sheer red shirt or Joey's VD poster, but we did Phoebe's guitar and Ross' comic book, Science Boy. This gives people an incentive to come back year after year. Our host was absolutely great and energetic. He seemed to know his stuff very well, and kept all of the guests on track as to what was happening. Out of the three apartments that were on display, Monica's was the most exciting for me. That is the iconic room with so many quirks, such as the frame around the peephole. Seeing all of this in person is incredible, and what was great is that we got to step back and take photos of the empty set for ourselves. You truly feel that you have stepped in their apartments and it is the main reason to make your way down to this festival. After the main set, there was only one thing to do and that was visit the gift shop. Whilst I feel that a lot of the stuff there was overpriced or generic, there was still some exclusive merchandise and a nice variety of products. My favourite things that I ended up buying was Friends Top Trumps and Trivial Pursuit (I'm a board/card game fan) and the replica poster of the canvas that is behind Monica's TV. It was sad to say goodbye, but it was a fantastic experience and I had done everything that I needed to. Pack sunscreen! If the weather is anywhere near the heatstroke that happened this weekend, you will need sunscreen. I forgot to put on a tiny bit under my shirt sleeve, and now that section is burnt. You will be out in the sun for most of the day, so please remember to put on protection. Take some money. There are quite a few things to purchase here, and they are extremely expensive. We are talking £7.50 for a cocktail in a plastic cup or £5 for a single hot-dog. If you plan to stay for a while and buy some stuff, take a lot of money. Charge your phone. This is a no-brainer for every day situations, but there is a lot of selfie and photograph opportunities, and you will want to take every single one of them. The last thing you want is your phone to die right before you visit Monica's apartment! Arrive one hour before your allotted set tour time. The festival takes about 2 hours to do everything in, and if you arrive one hour beforehand, this will break the day up nicely. This is also let you have more stuff to do, as specific things happen at a slightly later time. Not be shy. These photo opportunities are in front of everyone around, but just remember that they will be doing the same thing. They are also fans of the show, so do anything related to the show if you want! Have fun. This is something that you don't get to do often, so take it in and just enjoy yourself! More activities in the morning of the event. 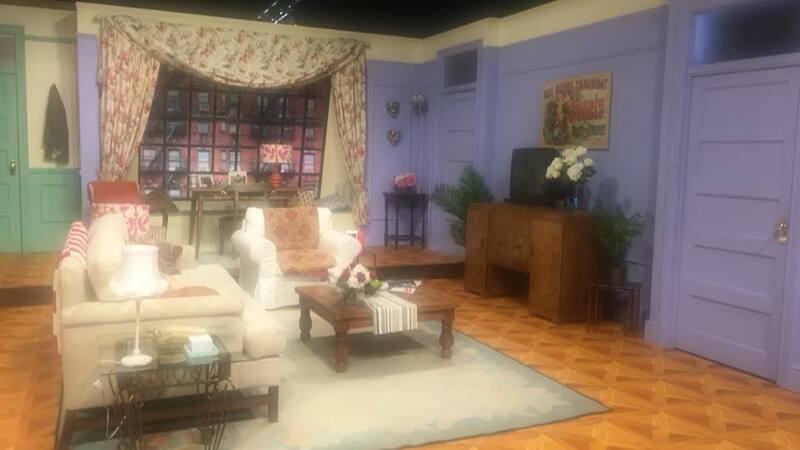 I arrived at FriendsFest at 11am, and I found that a lot of the stuff on the stage didn't start until 1:30pm. This meant that by the time fun stuff such as learning Ross and Monica's dance routine came about when I had my set tour, I was already exhausted from the heat and doing all of the photo opportunities that I just wanted to go. Cheaper drinks and food. Yes, I know it is standard to pay high prices for alcohol and food at festivals. However, paying £5 for what tasted like a burnt hot-dog, and £7.50 for half a cup of cocktail with so much crushed ice did not make me happy. More interactions. With this, I loved what was offered, but it got boring very quickly. Interactions only came about on stage, and staff seemed fixated on their small area. There wasn't staff going around taking photographs, singing along or getting groups of fans to talk and bond together. That would have been a nice tough to see. 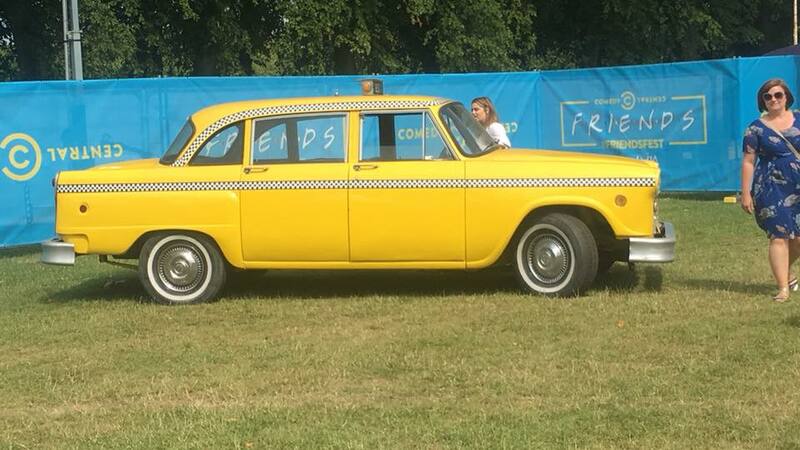 Have you been to FriendsFest over the past few years? Do you plan to go along? Let me know what you think in the comments below.